Day 11 of the challenge! I can’t shake the memory of mother at my graduation, the smell of whiskey on her breath as she kissed me, the way she held my hand until it hurt, the strange expression on her face, a cross between pride and disbelief. Almost as if a part of her knew I’d pull it off. But another part struggled to accept it. Dad in his tweed jacket that smelled of mothballs, the one that had seen better days. The image burns into my brain, like closing your eyes in bright light and seeing a kaleidoscope imprinted on the back of your eyelids. But I’ve finally made it. Even though the daily grind of going to lectures and holding a night job became overpowering. Towards the end, fatigue became my daily accomplice, wrapping her arms around me, dragging me along, until I was beyond exhaustion, almost beyond rational thought… and every step felt like sinking sand beneath my feet. Akin to a drugged condition as my tired, wobbly legs weighed me down during the daily struggle that never seemed to end. That’s just what it felt like, walking in sinking sand. Never knowing if the earth would give way underneath me and I’d struggle, arms flailing, to remain upright. Lurching off one way then another like an odd tee-totaling drunk. We co-existed… fatigue and I… until the bitter end. The kaleidoscope patterns have shifted… to reveal colors that are bright and promising. He got through the rough days of college and now has a bright future! It was worth sticking with it after all… most things that take hard work are! I love your theme!!!! Your beginning paragraphs are amazing!!!! You’ve grown so much as a writer, Michelle! Congrats! I’ll try to drop by again soon…. Everyone had these when I was a kids. Spirograph and that thing you’d put a round cardboard thing with pictures on the end and look into it. What was that called? I remember those colorful kaleidoscopes… the tubular ones with glass bits and pieces inside that went round and round… you’re talking about that one? We used to get kaleidoscopes for Christmas every year. My parents would find such pretty ones. I loved them. 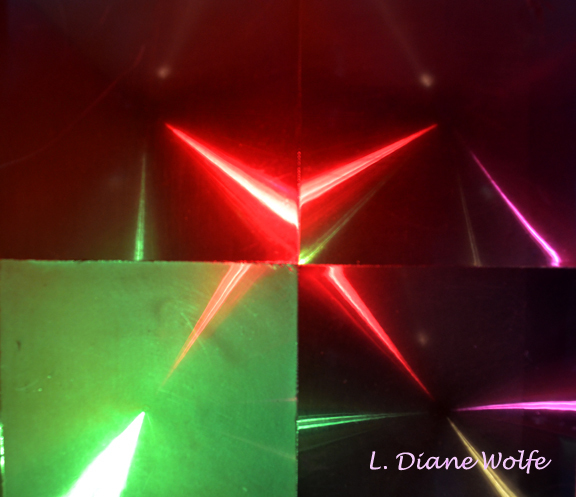 Nice use of kaleidoscope as a theme and Diane’s picture is lovely. Nicely done! I felt like I was sinking, too, until that last line that lifted me back up like a deep breath of hope. I love your response… thank you! At the end of my university degree with honours, I had stacked on weight ’cause of all the binging that got me through my honours thesis 😛 Then I went travelling for 4.5 months, caught a bug, and lost all that weight and more, by the time I got home! You get to see other places AND lose weight? A win-win! I can relate to this personally. It’s the sight of the end, even if at a distance, that just keeps you going. You are very clever getting all your prompts in one short piece. Love the imagery in this piece…the smells of whiskey and mothballs…fatigue wrapping her arms around you. Sounds like a person with lots of internal motivation. L. Diane Wolfe had been doing a great job with the pictures. She has talent. I really loved this! Well written, and made me remember a time in my own life when I persevered! Thanks for that! I’m so glad you connected with it. Makes me think of the quote: hope springs eternal in the human breast…. Like the ending. Like the way you weave such disparate objects into the flash. Neat. Great to see you her, Mr. A to Z himself! It sounds like he had to overcome his parents, too. Really enjoyed this one. Not often that fatigue is personified, and you did a great job of it here.